He may not have strummed crazy leads like Hendrix, had sonorous vocals of Elvis or made millions bang their heads like Kurt Cobain did; but he sure did hold the status of a rock-star. Millions are mourning, as Apple Co-Founder and ex-CEO Steve Jobs passed away on Wednesday, Oct 5, 2011, owing to a rare form of pancreatic cancer. Jobs was 56. Steve Jobs started Apple with a friend at a Silicon Valley garage in 1976, and turned it into an empire with a decade by rolling out one sensational product after other. He was forced out of Apple a decade later. The 1999 docudrama “Pirates of the Silicon Valley” about the rise of the home personal computer through the rivalry between Apple Computer and Microsoft, also documents Jobs’ journey from the Silcon Valley garage to the time he was forced out of Apple. He resumed his position as Apple’s CEO in 1997 to rescue the company from a downhill bearing. During his hiatus from Apple, Jobs In 1986, Jobs purchased The Graphics Group which was later renamed Pixar; he became a member of the board of directors of The Walt Disney Company in 2006, following the acquisition of Pixar by Disney. Steve Jobs would probably be remembered for transforming computers from being a geek’s fixation to an everyday necessity. 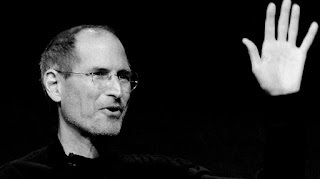 Jobs is listed as either primary inventor or co-inventor in 338 US patents or patent applications related to a range of technologies from actual computer and portable devices to user interfaces (including touch-based), speakers, keyboards, power adapters, staircases, clasps, sleeves, lanyards and packages. 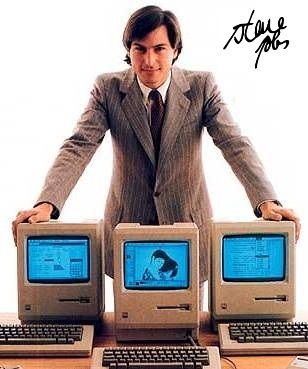 His initial offerings like the Apple Lisa, NeXT Computer and later on Mac established Apple in a vanguard position the computer bazaar. In 2001, he launched the iPod and marketed it as ‘1,000 songs in your pocket‘. The iPod initially gave Apple a hold over the music industry and later evolved into high-end and influential gadgets like the iPhone and iPad. Steven Paul Jobs was born on February 24, 1955, to Joanne Simpson, then an unmarried graduate student, and Abdulfattah Jandali, a student from Syria. Simpson gave Jobs up for adoption, though she married Jandali and a few years later had a second child with him, Mona Simpson, who became a novelist. In the unauthorized biography, The Second Coming of Steve Jobs, author Alan Deutschman reports that Jobs once dated Joan Baez. Jobs married Laurene Powell, on March 18, 1991. The couple has a son and two daughters. Jobs also has a daughter, Lisa Brennan-Jobs (born 1978), from his relationship with Bay Area painter Chrisann Brennan. Before Apple happened, Jobs traveled to India on a spiritual quest with his friend Daniel Kottke. He visited Neem Karoli Baba at his Kainchi Ashram. He returned to the US as a Buddhist with a shaved head, wearing Indian attire. He was also a fan of the Beatles. 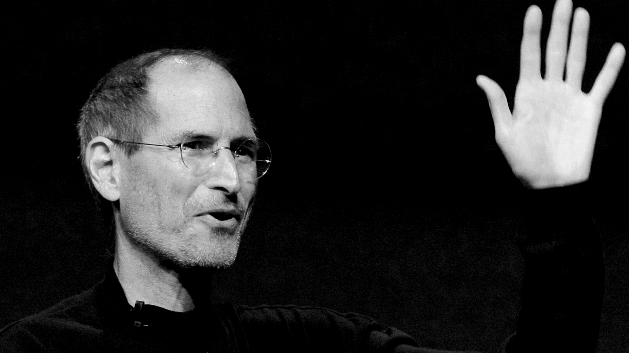 Steve Jobs leaves behind a legacy of innovation, most of which were presented in his trademark black turtleneck, faded jeans and converse shoes. The twitter trend #iPad had emerged as a tribute and to the mark the loss of this great innovator.